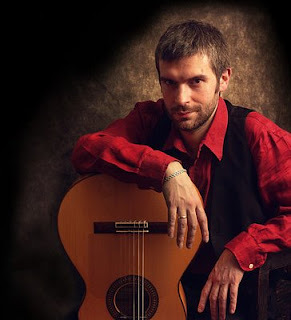 Born in 1974, Michal grew up under the influence of flamenco music. When he was twelve, he started to learn the guitar. In 1992, he founded a music group “Viva Flamenco”, which won already some musical awards. In 1998, after the performance at the international festival in Italy, he accepted an invitation to go to the Musical Academy in Nagpur, India. There he worked as the guitar teacher and at the same time he learned to play an Indian musical instrument - sitar. He composed a lot of music for telvesion and radio programs, performed in India and many European countries. We too were fortunate to witness his performance at the concert in Borotin in 2004. I have got this CD as a present during the Adi Shakti seminar in Poland. It is one of the most incredible CDs I have ever heard. The synthesis of the flamenco guitar and sitar in conjunction with the other Indian musical instruments is unbelievable. I picked up the phone and called Michal. The Sahaja Yogis already knew him from the performance at the Borotin Festival 2004, where he fascinated the audience with his guitar mastery. Afterwards, via e-mail, Michal answered a few of my questions. 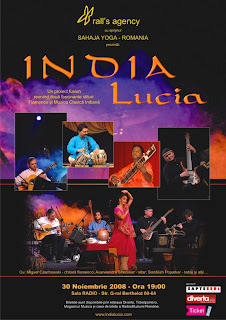 This musical project combines two musical styles – Classical Indian Music and the Flamenco. 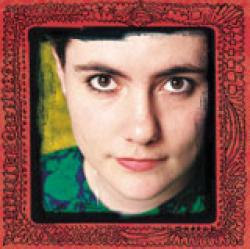 The album was being made over a period of ten years 1994 - 2004, mostly in India and Spain. Many excellent musicians agreed to participate in the making of this album. The original concept is from producer / musician – Michal Czachowski himself. 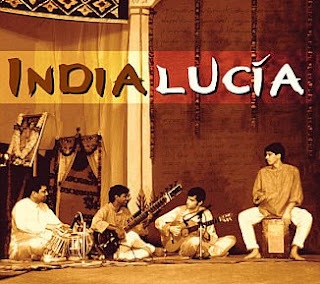 The result of his work is an album which shows how much Flamenco and its “distant roots” - Indian Music have in common. 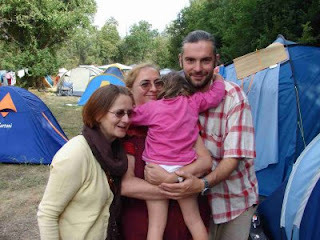 When and how did You meet Sahaja Yoga? I encountered Sahaja Yoga for the first time when I was sixteen. At that time I was seeking something spiritual and eastern. In our religious education class I discussed this search with the priest. Then I became a vegetarian and switched to Tao philosophy and the Old Testament. Finally, thanks to the music of Beatles, I discovered Indian Music and then after that came Sahaja Yoga. Actually, I saw a poster for Sahaja Yoga and came to the meeting. 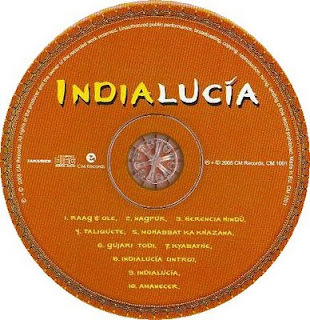 The recording of Indialucia took almost five years. Why so long and recorded in so many European countries? I was starting in the Academy in Nagpur. It was not possible to record everything there, because it is very difficult to make any exact appointments and dates for the recording and rehearsals with the Indian musicians. I came back to Poland together with Pierluca Pinerolli (the percussionist) and we put together an arrangement. Then I went to his home in Madrid, where we recorded part of the percussion and the guitar. I again came back to Poland and started to work on my own. I had no money to pay the whole production, so I went to the studio only when I could pay. 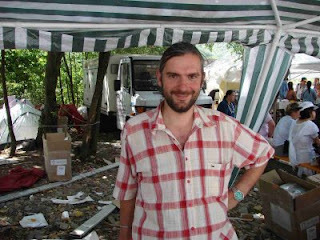 Then I got financial help from the argentinean yogis, who lent me part of the money for the recording and production. In between, my two children were born and it was very difficult to devote oneself to the recording. In the end, after five years, everything came to the happy end and I am glad the CD is out and the Sahaja yogis can buy it. I feel joy, when I see the CD in the shops and Shri Mataji´s picture on the cover, or when I see a good reviews in the music press. The second composition is called “Nagpur”. How are your memories of the Academy and the stay there? This CD arose by reason of the Nagpur Academy, because there I met Avaneendra Sheolikar, thanks to whom six compositions were composed, the singing teacher Prasad Khaparde, Sandesh Popatkar – the tabla player, and as well Pierluca Pineolli. I remember the time spent in Nagpur as the most beautiful in my life. I wanted to link up to this place where it all started, that’s why the name “Nagpur”. The composition number five is dedicated to Babamama. Did You meet him and what was this meeting like? The whole CD is dedicated to Babamama. He and Shri Mataji invited me to Nagpur and the Academy itself came into existence thanks to him. But in the meantime, during the recording of the CD, he died. The same day I gave myself a commitment, I would dedicate the whole album to him. I also wished for one of his lyrics to be on it. I chose this composition, because it has a nice text and soothing melody for the ears. The CD is very popular on the internet Sahaj Radio. What do You say to such a success? I don’t know what to say. I feel joy and have hope it will bring a lot of joy to the people. I wish it would be accessible to all Sahaja Yogis. When will a new album come out? Will it be something different? I would already like to start to record it and I would like to link up to the first CD, to stay with a similar sound – the guitar, sitar, tabla, cajon. I would also like to add more components from the carnatic music – the bansuri flute, ghatam and canjira, and additional flamenco singing. Simply to make a few light compositions, which could become a hit in World Music. How do You remember your concert in Borotin in 2004? It was something new, unusual for the sahaja yogis. It was a very nice event and a nice place. I was very sorry I couldn’t stay longer and listen to the other musicians. I hope this event will develop from year to year further on and will promote Sahaja Yoga, good music and everything that is good. Thanks a lot and I wish you all the best. 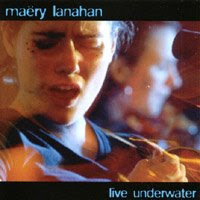 we added on radio album "Live Underwater" - Maery Lanahan and four tracks from album "Lessen" too.